I finally got my hair cut tonight!!! It has been months and months and months since I last had it cut and it had got soooooooo long. Considering the length of time it’s been since I last had it done, it didn’t look that bad. I don’t know how I kept managing to miss the family hair appointments, but I just never seemed to be around. 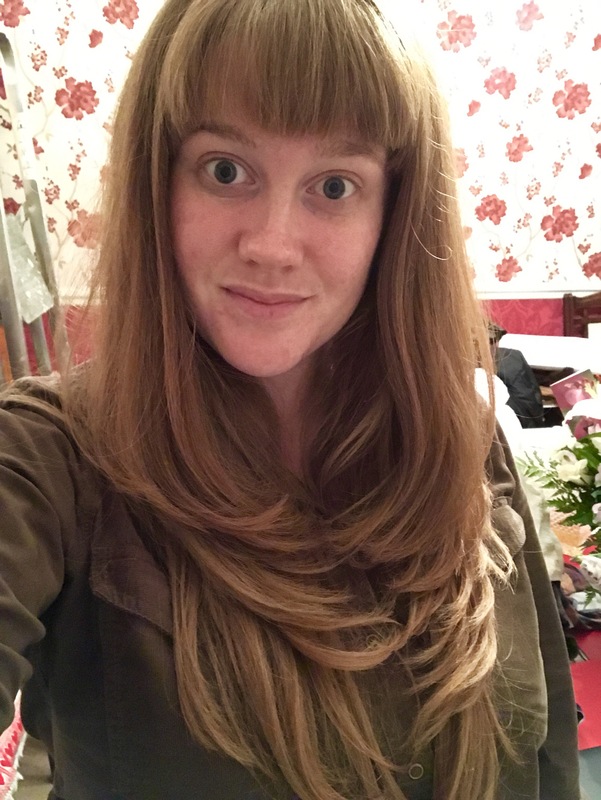 Anyway, I have had a few inches off now and I feel so much lighter. I swear it was starting to give me neck ache because it weighed so much. At least I will be nice and light for my holiday and I won’t have to pay excess baggage for my weighty hair on the flight. I’ve got attached to having it so long, and I started getting a bit panicky when it was coming up to the chop. Thankfully my hairdresser is all for my hair being long, and together we have decided we will grow it down to my bum. I’m not sure exactly how we as a pair are going to encourage it, but I am sure we will find a way. Oh how I LOVE Sam the hairdresser – he always knows exactly the right thing to say. After our usual gossip about the various dates we have been on since our last encounter (he’s been having the same amount of luck as me – AKA none), he set to work. 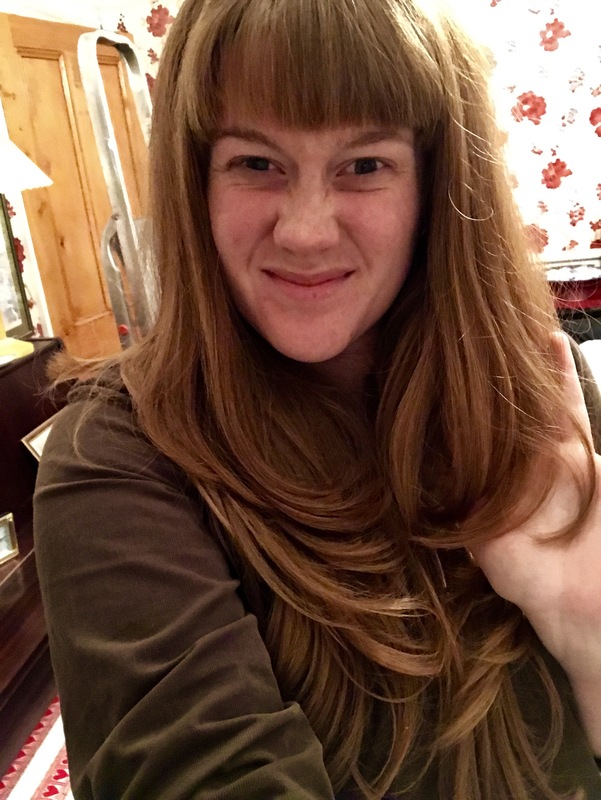 I now have my layers back and it looks so much more neat and tidy than it was, and all those nasty split ends have gone. 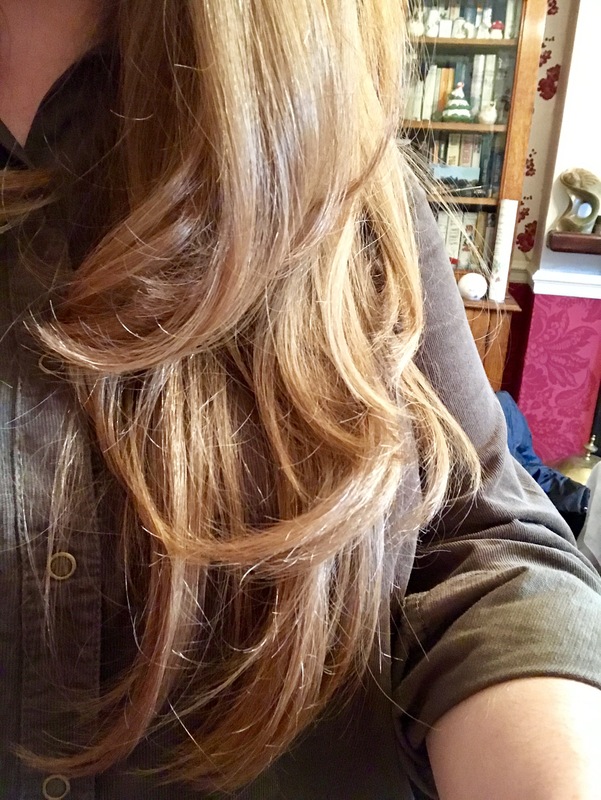 I went for a pretty sleek blow dry, with a bit of movement at the ends. I never ever dry my hair, so this is always such a treat for me. I don’t dry my hair for a a couple of reasons. One, because I am super lazy and it takes forever to dry because it is so thick, and I really can’t be arsed to spend the time on it. And two, I don’t want to end up as one of those people whose hair snaps off because they have damaged it so much. Ick. That is one of my worst fears and it haunts my dreams. It was actually just really nice to sit and chill for half an hour. Not thinking about work, not thinking about all the stuff I have to do and not worrying about anything. I’m feeling really stressed out at the moment and it was nice to shut my brain off for a bit.